Fans of the mega successful homeware brand Hunting for George? So are we. It's the site to shop when curating your home into an awesome space through amazing products which reflect the Australian living vibe. We are huge fans of their prints too which began when Lucy whipped up a birthday pressie for a friend and then was given a nudge to sell them. 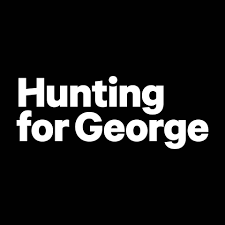 Hunting for George has come a long way from their original offering with only three brands in 2010. They now have their own range of homewares in addition to some pretty fabulous international brands. The trick? They watch and respond to their customers and keep a sharp eye on the market. What we love about this story is that sisters Lucy and Jo started their company with three brands in a spare room…because the best startups are built on a belief to change the market…not having all your ducks in a row first.